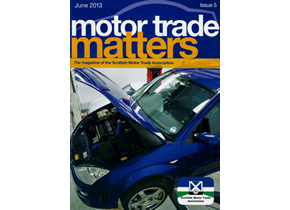 We at Haynes Vehicle Services were delighted to feature in a full-length article in June 2013 edition of Motor Trade Matters, the magazine of the Scottish Motor Trade Association. Here is the full article from the magazine. 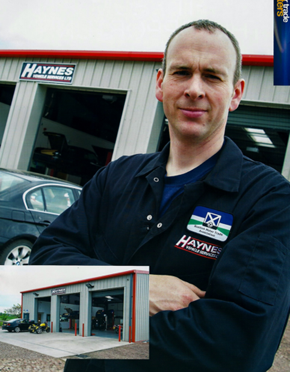 Haynes Vehicle Services Limited is based in Thankerton near Biggar; whilst they started in 2000 as Haynes Coachworks they have just undergone a complete redevelopment of the workshops and now offer a wide range of services. 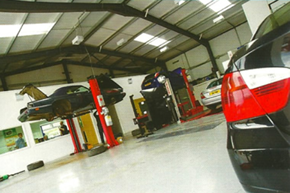 These include; MOT services for cars, vans and motorbikes, bodyshop and accident repairs, vehicle servicing, diesel and petrol engine remapping and a number of more specialist vehicle services. Kevin Haynes is very proud of the new workshop facilities they built in 2012 and is very pleased that they took the risk to completely redevelop the site. Investing in your business is not without risks but for this development Kevin was able to make use of a couple of additional sources of funding. One source was South Lanarkshire Council’s Capital Grant Scheme. This scheme is targeted at new and existing business undertaking a growth project. Grants are available on a range of projects that include capital expenditure and property improvement. The second was Clyde Wind Farm Fund (CWFF) which is supported by SSE Renewables who are the developers of the Clyde Wind Farm located near Abington. The purpose of the CWFF is to provide funding to capital projects which will result in a range of local benefits including employment and that support the local economic prosperity of South Lanarkshire. Kevin was the first applicant for CWFF and points out that these business grants made the decision to develop the business possible. Kevin is keen to promote his business and sees joining the SMTA as a useful step.